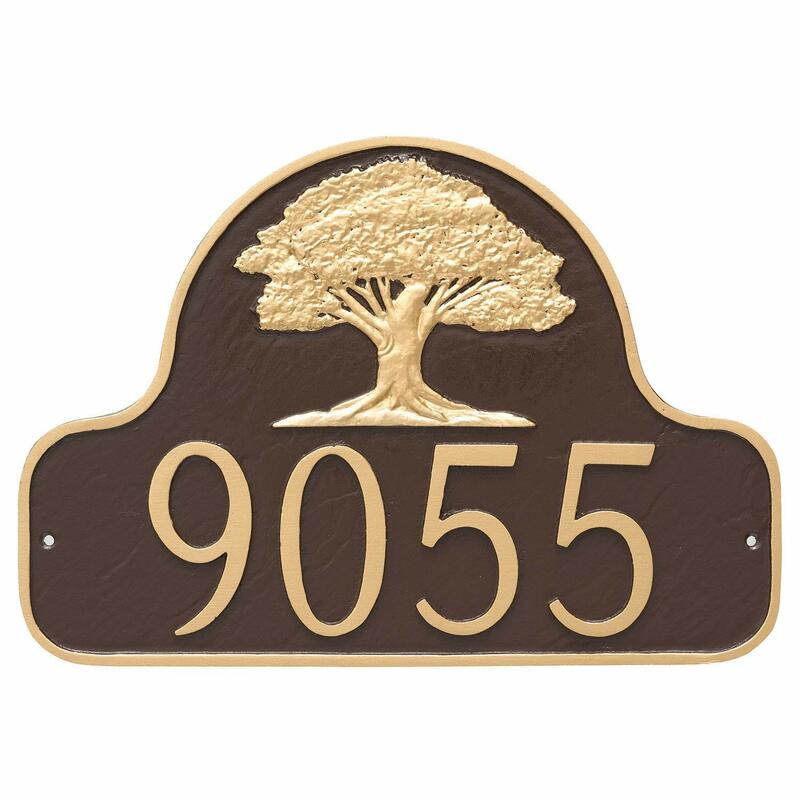 This beautiful address plaque with an oak tree emblem is exquisite in its detailing. 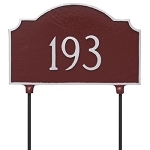 This address plaque is made of recycled aluminum and is available in wall and lawn styles. Hardware is included. Lawn style includes two 23" lawn stakes. Made in USA. Line 1: Holds up to five 4" characters or seventeen 1.25" characters.